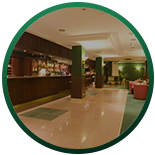 Do you work in the hospitality, lodging, pest control, restoration, or construction business? Then this blog is for you! One of the greatest benefits about our Tri-Flo industrial electric heaters is that they can be used in many different industries for multiple purposes. In today’s blog we are going to explore the many different ways our cutting-edge electric heaters come in handy — and how they can help you! 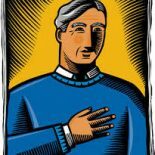 If you work in the hospitality and lodging industry, you know a bed bug infestation can stir up a whole lot of trouble — for both your bottom line and your reputation. 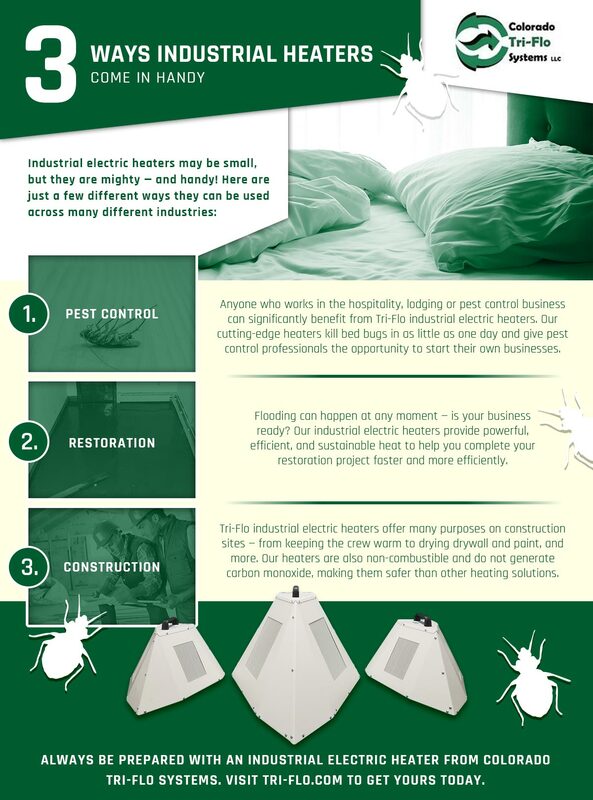 With Tri-Flo industrial electric heaters, you can easily and discreetly kill bed bugs. Our industrial electric heaters can be used by any trained staff member (we even offer FREE training), require little set up time, and gets rid of all bed bugs in as little as one day so you can get your business back up and running like normal. Pest control professionals can also greatly benefit from our industrial electric heaters, not only because our advanced technology makes their job easier, but our industrial electric heaters also provide them with the opportunity to start their own pest control business! With Colorado Tri-Flo Systems by your side, starting your own business has never been easier. We even offer a helpful guide to get you started. Learn more about how to start your own pest control business here. Mother Nature has her way of leaving us big messes to clean up. If you work in the water restoration industry, Tri-Flo industrial electric heaters are a lifesaver. Flooding can happen at any moment in time and since you only have 48 hours to dry out the flooded space before mold begins to grow, you have to be ready. 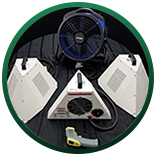 Tri-Flo industrial electric heaters are portable, can be plugged in anywhere, and provide powerful, efficient, and sustainable heat to help you get your restoration project done faster and more efficiently. The benefits of Tri-Flo industrial electric heaters don’t end there. These cutting-edge heaters can also be used for construction as well! 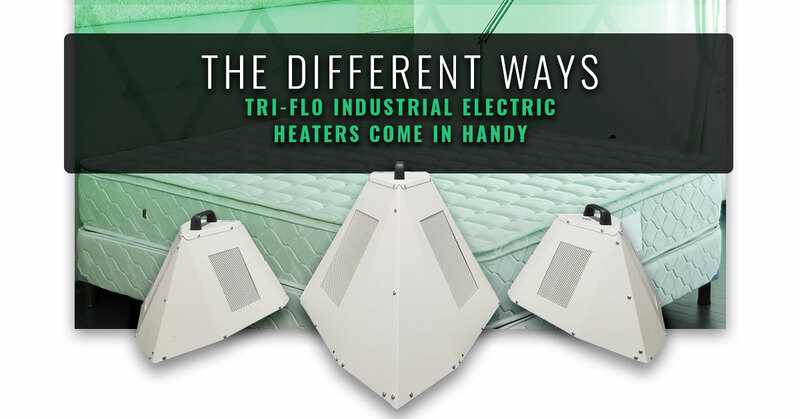 Whether you need to simply heat the construction site on cold days for your crew, dry paint or drywall, or keep your equipment and supplies from freezing, Tri-Flo industrial electric heaters can get the job done. Unlike propane or gas heaters that are commonly used on construction sites, you don’t have to worry about combustible fuel, carbon monoxide build up, or an increase in moisture. With our industrial electric heaters you can get your job done safely and more efficiently. No matter which industry you are in, Tri-Flo industrial electric heaters keep you prepared for the worst. With our many different individual heaters and packages available, we are sure we have the equipment you need to take your business and performance to the next level. Check out our heating solutions today and please don’t hesitate to reach out to us if you have any questions. We look forward to helping you with your heating needs.